While 2016 was a disappointing season overall for the Lions, with just three wins and a spate of injuries, some young cubs showed plenty of promise in their development. It’s the toughest road trip in football and this weekend we will be bolstered by the return of a number of senior players. Brisbane are set to regain Rockliff, Christensen and Green, with the trio eyeing off a Round 1 return. Green was a speedy midfielder for most of his junior years, but has since developed into a clever small forward at AFL level. The former Captain of Tasmania's U18 side, he is a natural leader with clean skills, and terrific goal-sense. He has the ability to bring the Gabba crowd to life with his creativity in attack. • Tasmanian boy Green enjoyed an outstanding junior football career with Clarence, where he was a member of two Premiership sides and was recognised as the TSL's (Tasmanian State League) best Under 18 player. • He was given the honour of Captaining Tasmania's U18 side in the 2010 National Championships, and led his team towards the Division Two title. • Despite suffering a fractured rib and punctured lung in the final match of the Championships, Green also received Tasmania's Most Valuable Player award and was named in the National U18 All Australian team. 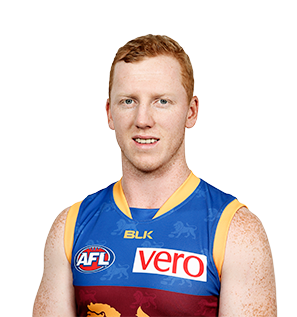 • He proved too good a prospect for the Lions to pass up on, and the Club eventually took him with Pick No.32 overall at the 2010 AFL National Draft. • One third of the ‘Mozzie Squad’, Josh Green was another Lion to spend a stint on the sidelines this season as a result of injury. • The 23-year-old played 16 games in 2015, missing six matches between Round 15 and Round 20 due to a stress fracture in his foot. • Regardless, the damaging forward recovered to be the Lions’ leading goal kicker for the second consecutive season, with a tally of 25. • In Round 23, Green’s best game of the season, he kicked four goals, had 16 disposals and laid five tackles in the Lions’ surprise win over the Bulldogs. • Green established himself as a more regular member of the senior side, playing 20 of a possible 22 matches - missing Rounds 4 and 5 with a quad strain. • Together with Dayne Zorko and draftee Lewy Taylor, he formed part of the 'Mozzie Squad' - a trio of small, fast forwards who would prove a difficult match-up for opposition defenders. • He collected a career-best 21 disposals in Round 1 against Hawthorn - which also happened to be the first time he'd played a senior game in front of his home-town Tasmanian crowd. But he did most of his damage in attack, booting at least one goal in all but two of his 20 games. • Green went on to kick an equal career-high three goals on five separate occasions, and finished with a Club-high 33 for the season. It was only the second time since 2008 that someone other than Jonathan Brown had topped the Lions goal-kicking in a season. • His career-best season was acknowledged on Club Champion night, when Green finished inside the top 10 for the first time in the Merrett-Murray Medal count. He finished 8th overall - eclipsing his previous best of 19th from 2012. • Green was a valuable contributor to the Lions' throughout the pre-season, and even booted three goals in the team's NAB Cup Grand Final victory over Carlton. • He earned a senior spot in Round One and held it for the seven weeks until he was omitted in Round 8. He went on to play just one match in the following six rounds, before his NEAFL form earned him another recall for Round 15. • From Round 15 onwards, Green entrenched himself as one of the senior team's small forwards and kicked at least one goal in each of his final nine matches - including five bags of multiple goals. • His finest performance came against the GWS Giants when he booted three goals, collected 15 disposals, and had a season-high five inside 50s. • He finished the season with 24 goals - the third most at the Club behind Brown (28) and Zorko (26) - from just 17 games, and tied for 20th place in the Merrett-Murray Medal vote count. • Green resumed with the Lions Reserves at the beginning of 2012, but proved a step above the State League level by dominating games in the midfield. • It took until Round 8 for him to get a senior call-up, and he rewarded selectors with an 18-disposal performance against GWS. • He proceeded to play seven consecutive senior matches, which included a match-winning effort against West Coast when he came on as the substitute in the final quarter and kicked three quick goals to help cause one of the upsets of the season. • A brief stint back in the Reserves between Rounds 16-18 was followed by possibly his best stretch of games. He played in each of the Lions’ final five games of 2012, kicking eight goals and averaging over 14 touches as a small forward. • His 2012 season ended up producing 12 senior matches – an increase from the five he played in his debut year – and his first top 20 Club Champion finish (19th). • Green made an immediate impression during his first pre-season with the Lions, and earned a place in the Club's NAB Cup pre-season side, before commencing his career with the Lions Reserves side in the NEAFL. • He dominated the opening months of the NEAFL season and, at one stage, even led the Syd Guildford Trophy for the competition's best player. • His form soon demanded senior selection, and it came his way in Round 9 when he was named in the Lions' senior side against North Melbourne at the Gabba. Green collected 12 disposals on a wet night and was part of the team's maiden win for 2011. • He went on to play five consecutive senior matches (averaging 11.2 disposals) before being sent back to the NEAFL to continue his development. • But an ankle strain suffered against Aspley kept Green sidelined him for a month. 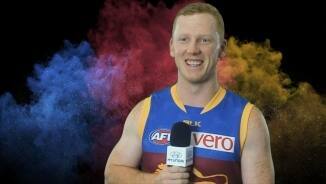 He returned by Round 19 and played out the remaining matches with the Lions Reserves.